It has been a big month in Story Wise Land with the first two-day workshop ‘Storytelling for Women Leaders', delivered or more accurately birthed. It was a wonderful group of women and beautiful testament to the power of story and sitting in circle, to connect us with ourselves, our lives and each other, and to begin to find our voice and tune our message and purpose. Hearing the impact of the work on the women in the group, hearing their stories and seeing them grow in confidence as they gathered some experience, enabled me to do the same, to grow in confidence that the work works, and is worthwhile and that I can deliver it. 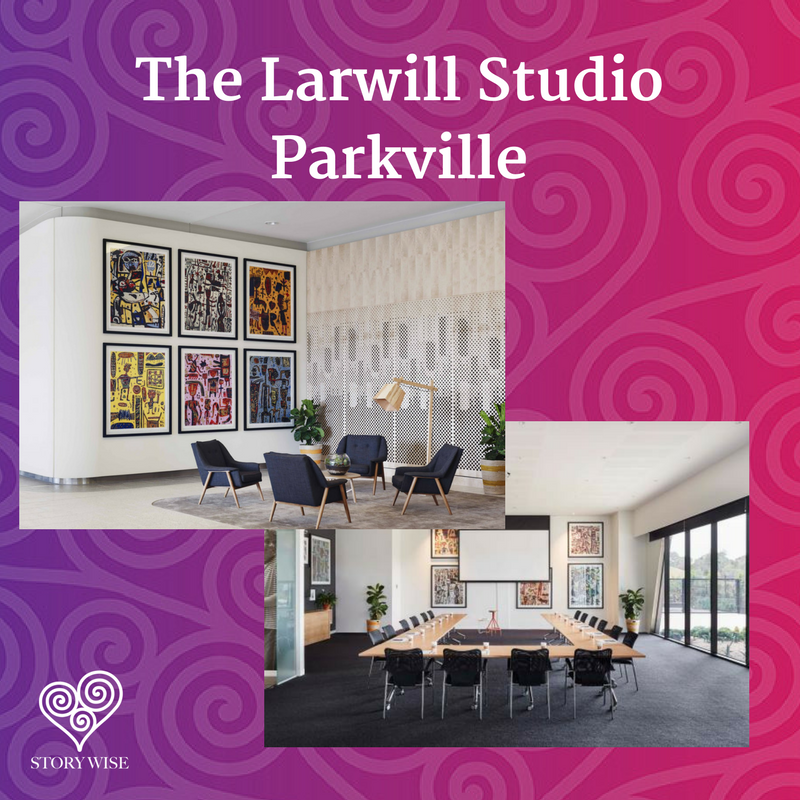 I am very pleased with this venue, it is a lovely modern and spacious room with high ceilings, art covered walls and full length windows onto the park. It is right on the edge of Royal Park, and I hope to send participants off in pairs or just with a story for company, to practice, move, embody and enjoy the space, weather permitting. There is an early bird price this time which ends on May 1. Further details are here. Coming up at the end of next week, on Friday 20 April, is the third Story Wise free webinar titled 'Story Flow - Creativity, Improv and the Storytelling Process’. (This was originally scheduled for April 13, but school holiday pressure saw me push it back a week, my apologies if this inconvenienced anyone). You can sign up here. I am enjoying focusing each month on a theme related to an aspect of story. I write a post for social media each Monday, related to the theme and this really helps get my thinking clear. I then choose the best, most read or my favourite Monday Muse as the blog post for the month. Story Wise Women this month was as usual powerful, funny, deeply moving and brilliant. The new venue, the Brunswick Mechanics Institute was lovely in the space, but its location, on a corner of Sydney Road makes it very public, prone to people walking in off the street (i.e. blokes) and lots of noise. The upshot is we will wander the wilderness of venues for one more month before returning to Long Play in Nth Fitzroy, which suits Story Wise Women very well. And because we are a good crowd, they will have us there until the rest of the year and maybe as a home next year. So May's Story Wise Women is at the Kent Hotel, 370 Rathdowne Street, Carlton North. Unfortunately this venue space is only accessible via stairs to the first floor. And a new idea brewing is ‘Story Wise Working Women’ (which is all of us, right!). An open mic women’s storytelling event in the CBD on a Friday lunchtime, 12.15 - 1.45pm, bring your own lunch. Will keep you posted.